The QDA – 11 is two units within one. First, a quadratic diffuser based upon prime number 11 with a diffusion frequency response from 385 Hz. – 3,450 Hz. Behind the prime 11 quadratic diffuser is our activated carbon broadband low frequency broadband absorber from 30 Hz. – 400 Hz. Broadband lower frequency absorption is required in all small rooms. The absorption performance is the same as our ACDA-10 unit. At the base of the QDA-11 is our more frequency specific carbon absorber from 30 Hz. – 50 Hz. 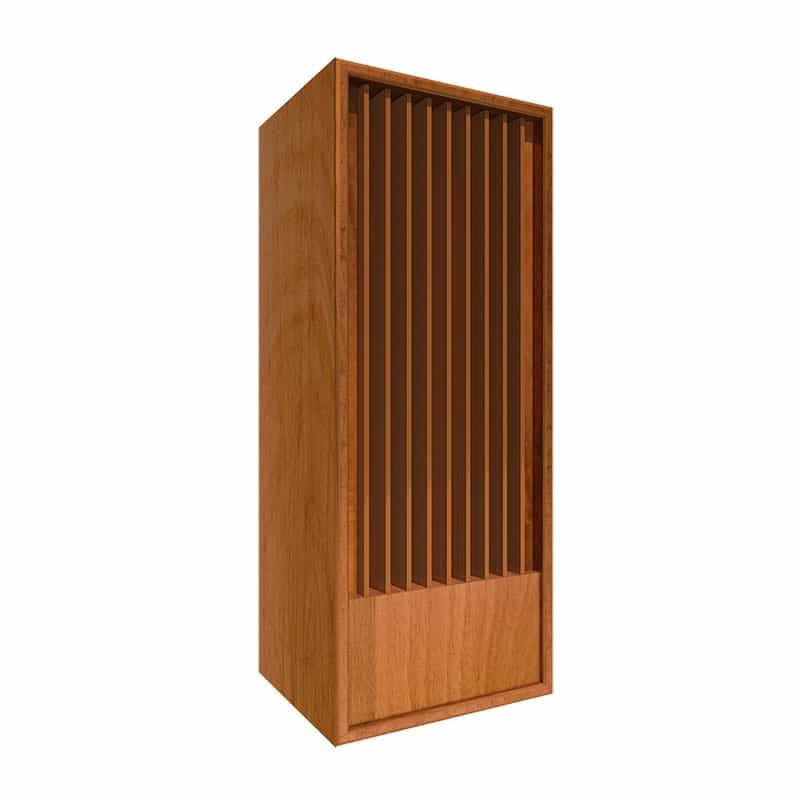 This base absorber is designed after our ACDA-12 unit and offers large amounts of absorption from 30 – 50 Hz. which is the frequency range of unwanted pressure issues in the majority of today’s smaller rooms. The QDA measures 24″ w x 60″ h x 9″ deep and weighs 225 lbs. Diffusion and lower frequency absorption goes hand in hand with the front and rear wall locations. The front wall is an area of high unwanted low frequency pressure and the rear wall follows the same pattern. Low frequency energy builds up at the boundary surfaces of front and rear wall locations. You need both a frequency specific and a broadband absorption approach to deal with the magnitude of these low frequency pressure issues. The QDA-11 was designed for those who do not have the physical space requirements to accommodate deeper units but still want the advantages of broadband and frequency specific absorption along with the diffusion benefits offered by quadratic diffusion. The QDA – 11 is two units within one. First, a quadratic diffuser based upon prime number 11 with a diffusion frequency response from 385 Hz. – 3,450 Hz. Behind the prime 11 quadratic diffuser is our activated carbon low frequency broadband absorber from 30 Hz. – 400 Hz. Broadband lower frequency absorption is required in all small rooms. The absorption performance is the same as our ACDA-10 unit. At the base of the QDA-11 is our more frequency specific carbon absorber from 30 Hz. – 50 Hz. 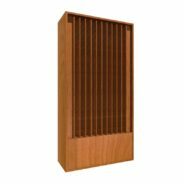 This base absorber is designed after our ACDA-12 unit and offers large amounts of absorption from 30 – 50 Hz. which is the frequency range of unwanted pressure issues in the majority of today’s smaller rooms. The QDA measures 24″ w x 60″ h x 9″ deep and weighs 225 lbs. Have you ever been in a grand recording studio or music hall, such as Carnegie Hall in New York, and experienced the sensation of hearing music with complete clarity and separation? Ever been so moved by a live performance that the music actually became a part of you and brought a tear to your eye and a lump to your throat? Then, you know what its like to hear the vocals so clearly defined and separated, that the natural timbre of the singer’s voice is able to move you emotionally with every note sung. You feel the wonder that comes from being able to hear each and every brass and string instrument shining through on their own. That can only happen when both the equipment being used to produce the sound and the room you are listening in actually disappear and all that is left is just you and the music. Now imagine being able to enjoy that same involvement only at a higher and more intimate level in your own personal listening room, home theater or professional recording studio. Imagine hearing that same attack and decay control the singer shares with you in every breath and note right there in your room. And imagine hearing every bass note attack and decay coupled with separation and definition.With the Quadratic Diffuser Absorber, QDA, that involvement can be achieved like never before. When you experience diffusion, it’s like having cataracts removed from your eyes. A vale is lifted from your musical presentation, so you can hear everything more clearly in its proper place and in its proper order with a clarity and separation you will never have previously imagined was possible. You create a new sound field that has a width and height where all the instruments and vocals are laid out and separated from each other, just enough so that you hear each and every one separately but still all together. You can literally “see” the distance between the guitar player and the lead singer. You know where the drums are and you can feel the physical distance between each and every singer and instrument on the sound stage. I took the time tested and proven method of sound diffusion, more commonly known as quadratic diffusion, and added my proprietary activated carbon technology to it. Quadratic diffusion has been the go to diffusion technology used in most professional recording studios for the last 40 years. Without exception, Quadratic Diffusion is the highest performing and best rated of any diffusion technology invented. So knowing our carbon works so well at absorbing bass energy all the way down to 30 Hz., I thought, “Well hang on a minute, everyone needs diffusion but we also need low frequency absorption as well”. So I married them together in one unit which nobody has ever done before! You get a diffusor/absorber that deals with your precious middle range frequencies where the magic of your vocals and all your emotional content lies and, at the same time, you get a unit which ensures you don’t have to suffer from bass boom. Room modes and their pressure issues can mask your mid range vocals and music and cause you to be unable to hear everything the artist and engineer intended for you to hear. If you distribute powerful low frequency activated carbon absorption throughout your room, by incorporating it in all the products used in your room, you can significantly reduce pressure throughout your room and enjoy little or no masking of any of your music. I invented my proprietary activated carbon technology because I was unhappy with all the current products on the market that called themselves low frequency absorbers because they were nothing of the sort. I wanted true separation of bass sounds below 100 Hz. and clean and clear attack and decay in every note. This is where the real magic in music happens and I wanted the ability to have the same detail and clarity in our bass notes as we enjoy in our mid range. After all, why should they be any different? Within 2 years of building many models and testing them for STC (Sound Transmission Class) or the ability of a wall to keep sound from coming through it and all the associated vibrations, we had a rigid cabinet structure and design in place, but I knew I needed a cabinet fill material that would compliment the cabinets performance if I was to achieve the performance level I needed to really tame room modes, not just pay lip service to the concept. My stroke of luck came when I discovered the activated carbon internal fill material quite by accident. I was working late one night and was standing over the kitchen sink, when I noticed the water filter light was flashing. Struggling to remove it, I decided to try wrapping it on the counter to loosen it but no such luck. I shook it and could hear something inside. Becoming increasingly impatient, I hit it with a hammer and out poured all these small black pellets. On closer inspection, the pellets looked liked miniature meteors, each full of thousands of microscopic holes, so I realized that if these small granules were filtering water and air then maybe they would help filter sound which is found in both mediums! Further research indicated that activated carbon has a huge amount of surface area per gram of material, 2,000 square meters in fact! And with all of this surface area packed into such a small amount of space, I now had the secret, powerful fill material ingredient, that could provide the horsepower to compliment my multiple layered cabinet design, that Audiophiles and professionals require to manage bass energy effectively. Eureka! Finally I had the perfect marriage of a cabinet that did not vibrate and an internal fill material that was more powerful than my cabinet itself. I now give you the QDA series of diffuser and absorber! You get a quadratic diffusor, the most time tested and proven method of diffusion in the world, fused with my low frequency activated carbon, which gives you incredible separation, definition, and additional timbre quality to your precious mid range and vocal, so you can hear more of everything that’s really important! Your QDA will feature a series of wells of different depths which can be tuned to your specific room and music to handle different frequencies and give you a larger and deeper sound stage so you can hear your mid range and vocals as clear and clean as if you were in the studio with the musician. You can enjoy diffusion from 400 Hz. all the way up to 3,500 Hz. along with a broadband, low frequency absorber technology using activated carbon filters. Now you have a diffusor/absorber that starts absorbing energy at 30 Hz. and moves through 200 Hz. Add it all up and you get middle range diffusion and low frequency absorption all in one beautifully crafted unit. You now have a product that does two things incredibly well. This is a first in acoustical products. You get a QDA cabinet that is made of solid wood and set on castors which allows you to position your units for proper room tuning and acoustically knocks down the walls and ceiling of your room so you can open up your music to a more real and lifelike presentation. It’s like overnight, you will have a new speaker, new amp, new cables, and a new room. You will elevate all 4 of these major components of your system to a much higher performance level by adding diffusion and minimizing the impact of the box in which you must listen to music, namely your room! You get a proprietary acoustic technology which you can position in a vertical or horizontal manner to achieve two dimensions of sound diffusion so you can finally escape room distortions and room modes, and enjoy a listening experience that only a very select few people in the world ever get to experience at home. You get to choose what stain and finish you want so it perfectly compliments your room decor and gives you an incredibly intimate listening experience without compromising the look of your room, ensuring no complaints from your significant other! Most companies use absorption rather than diffusion because its easier to build and less expensive. We do not subscribe to that philosophy. We do not believe you need to destroy middle and high frequency energy through over absorption in order to manage it. All too often we go into “dead” rooms which suffer from too much absorption with the sound dulled and lifeless. Instead you should allow all energies to be equally represented in your room with no frequency bias due to room dimensions or one frequency smothering another. Other manufacturers don’t have this option open to them because they didn’t think it was possible, or worth the time and money, going after the low frequencies we’ve gone after. They thought it was impossible to achieve in a free standing unit and, in some cases, changed the definition of low frequency so that their so called “bass absorber” performance matched their exaggerated definition. Well talk about moving the goalposts and trying to pull wool over people’s eyes. We aren’t having it and are calling it out now. Enough is enough. 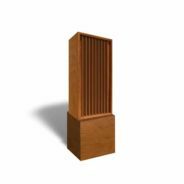 Our low frequency absorption rates, which have been independently tested and verified by the World famous Riverbank Acoustical Laboratories, have been incorporated into the design and construction of all our QDA units. You can see their report here: ACDA 10 Riverbank Acoustical Labs Testing Results and the graph below shows the absorption levels verified in the report. These are the same low frequency absorption rates and levels that professional recording studio designers incorporate into real world recording studios design and construction builds. So if you’ve bought what you thought was a low frequency bass absorber and its not dealing with frequencies below 100 Hz., then you’re missing out on a world of incredible sounds and pleasure in your music because not managing your bass in your room causes masking of your precious middle range frequencies. With the QDA we get the low frequency problems in your room out of your way so they do not mask your precious middle frequencies. And then, with the diffuser, we take all that new energy that you have never heard before, because it’s been covered by the low frequencies until now, and we spread it out into the room so you can enjoy incredible intimacy with your music like never before. So avoid listening to a compromised sound for a minute longer. You’re missing out on so much more from your music than you could possibly imagine. Your music system is producing all the sounds you need to hear but your room is not letting you hear them. Let’s finally allow you to experience the true power of what your expensive amp and speakers are producing! Act now as I intentionally limit the number we stock each year to maintain exclusivity of our unique flagship product for my customers. We may not make the next batch of units until mid 2014 so don’t miss out. 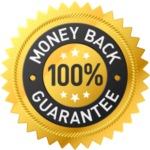 As the exclusive designer and manufacturer of this product and technology you cannot buy it in any other store or on any other website. This product is for serious recording studios and Audiophiles only. If you’re serious about wanting sonic perfection in your low, middle and high frequencies then this is most definitely for you. Don’t live with a compromised listening room and room sound for a minute longer. Take action now, believe me, you’ll thank me for this, for years to come. The QDA – 13 are two units within one. First, a quadratic diffuser based upon prime number 13 with a diffusion frequency response starting at 285 Hz. and going through 3,450 Hz. Behind the prime 13 quadratic diffuser is our activated carbon broadband low frequency absorber from 30 Hz. – 400 Hz. At the base of the QDA-13 is our more frequency specific carbon absorber from 30 Hz. – 50 Hz. The QDA measures 27″ w x 60″ h x 16″ deep and weighs 275 lbs. The Quadratic Diffusion in the QDA takes your sound and spreads it out across your room in the way nature intended you to hear it without your room getting in the way. Your room prevents this naturally occurring sound-field from happening because it has 4 walls, a floor, and a ceiling. Diffusion minimizes the reflections that want to destroy your precious direct sound from your speakers. Whilst reflections from room surfaces help you localize and define sound and distance, these reflections must be managed through diffusion so that the reflections do not get in the way of the sound coming from your speakers. This is why your ears are longer than they are wide. With the QDA you will finally get to experience the involvement that your expensive speakers are producing but which your room is stopping you from hearing. Through no fault of your own you have become so used to, and accepting, of poor diffusion in your room that your ears and eyes will open wide when you hear Quadratic Diffusion for the first time…Seriously, words fail to describe just what an impact diffusion has until you try it for yourself! Many times in our studios we have a need for both diffusion and absorption. Bringing in separate units is not easy and definitely not cost effective. With our diffuser absorber studio (DAS) units you have both diffusion and absorption both in one unit. The unit is on casters so mobility and positioning is much easier than with free standing units. Diffusion can add air and separation to your instruments and vocals. A properly diffused sound field is a necessity in today’s recordings where absorption is used improperly. All rooms require the ability to absorb access low frequency energy no matter what the room dimensions and volume. Both of these features are now combined into one portable unit. Units are clear coated commercial grade MDF. This simple finishing technique is cost effective and seals the unit from moisture. Casters are rated at twice the load they are carrying and have double wide wheels which insure the ability to position them easily in tight places. Fabric color and texture options are numerous. There are three diffusion options you can work with. The quadratic diffusion options are based upon prime numbers 7,11, and 13. The higher the prime number, the more octave band coverage. especially at lower frequencies. The DAS – 7 offers diffusion from 850 – 3,450 Hz. and our carbon absorption from 30 – 400 Hz. Units measure 24″ w x 60″ h x 16″ d and weigh 225 lbs. on casters. The DAS – 11 offers diffusion from 375 – 3,450 Hz. and our carbon absorption from 30 – 400 Hz. Units measure 24″ w x 60″ h x 23″ d and weigh 250 lbs. on casters. The DAS-13 offers diffusion from 275 – 3,450 Hz. and our carbon absorption from 30 – 400 Hz.Units measure 27″ w x 60″ h x 24″ d and weigh 275 lbs.on casters. The QDA – 23 are two units within one .First, a quadratic diffuser based upon prime number 23 with a diffusion frequency response starting at 185 Hz. and going through 3,450 Hz. Behind the prime 23 quadratic diffuser is our activated carbon broadband low frequency absorber from 30 Hz. – 400 Hz. At the base of the QDA-23 is our more frequency specific carbon absorber from 30 Hz. – 50 Hz. The QDA – 23 comes in three units. 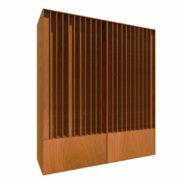 Each of the two diffuser sections measures 27″ w x 60″ h x 17″ deep and weighs 275 lbs. Together they are 55″ wide. 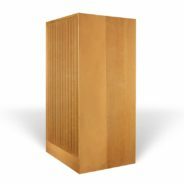 The ACDA-12 base measures 55″ w x 12″ h x 17″ d and weighs 175 lbs. Total weight for the units is 725 lbs. Want the ultimate in musical involvement? Looking for an emotional connection and experience each and every time you play your music? Then our flagship Quadratic Diffuser Absorber is for you. An acoustical industry first; Middle range diffusion and low frequency absorption all in one beautifully crafted unit. The quadratic diffuser gives you diffusion from 200 Hz. all the way up to 3,400 Hz. This provides you with incredible separation, definition, and additional timbre quality to your precious mid range and vocals. The low frequency absorber starts absorbing energy at 30 Hz. and moves through 200 Hz. so your bass instruments are both powerful and clear. The combined effect is a larger and deeper sound stage than you will have ever experienced before so you can hear your mid range and vocals as clear and clean as if you were in the studio with the musician. A beautifully crafted solid wood cabinet designed to match your room decor. A unit that measures 36″W x 60″H x 20″D and weighs 275 Lbs.